LINDSAY – The days where Lindsay police officers have to also fight fires could be numbered, but nobody really knows what that number is. Lindsay City Council voted in favor of sending a letter to the Tulare County Fire Department requesting fire services, but city manager Bill Zigler said it took a year to just get to that point. And he added that it is likely another year before details come to light to see if there are any significant savings for the City. Zigler said the goal is to increase fire coverage for the residents of city, which is something police officers have had to try and do since 2012 when former city manager and public safety chief Rich Wilkinson combined the roles to save the City money in the general fund. However, keeping up on trainings to certify their officers is onerous, in particular when the City only has 16 officers and no lieutenants at their disposal. “We’re spread really, really thin. We have a lot of our guys out [patrolling] the streets,” Zigler says. The Tulare County Fire Department already has two posts nearby with one just west of Lindsay at Cairns Corner and another in Strathmore. With their posts in the area already it is unclear whether they would use Lindsay’s facilities and equipment or not, but Zigler says Tulare County Fire Department personnel would be welcome to it. And part of the equipment will soon be a brand new fire truck anticipated to be delivered next year. Zigler says regardless of the outcome, the City is still set to receive the truck on time. The situation Lindsay hopes for is not necessarily unique. The City of Exeter has been contracting with the County for fire services since 2007 when the County ended its 80-year-old contract with Cal Fire and launched its own fire department. 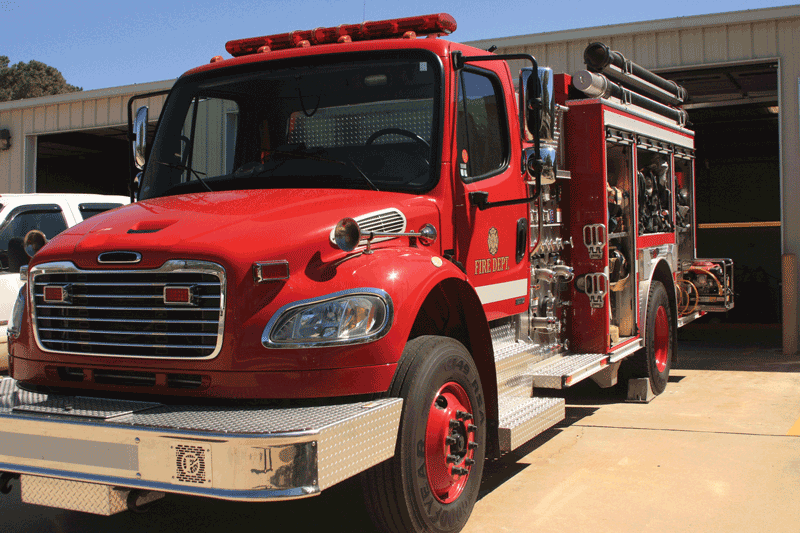 According to Exeter’s contract, the County provides staffing for the Exeter Fire Station (Tulare County Fire Station 11) including at least one fire captain or fire lieutenant 24 hours per day, seven days per week; one motorized fire apparatus: and motor fuel. The City provides two motorized fire apparatus and the fire station facility for County firefighters to use in Exeter. The City is also responsible for any emergency costs associated with extra help and paid call firefighters, traditionally known as volunteers. However, the City and County equally share costs of providing fire protection services, including full-time personnel for operating and administration. The City’s share of those costs are reduced by its share of fire tax contribution to the County Fire Tax Fund. Every property in Tulare County is assessed a fire tax on its annual property taxes to cover the cost of providing fire protection and prevention services. If the City did not contract with another fire agency, the Fire Tax Fund would go directly to the City to pay for its own fire department. Exeter uses this tax to cover much of its cost to contract for fire service with the County. The amount of fire tax the City collects is estimated by the Auditor/Controller’s Office prior to July 1 of each year. As part of the contract, the County is required to provide the City with a copy of Auditor/Controller’s calculation prior to July 1 each year to determine how much its annual fire contract will be covered through Exeter property taxes. Zigler says the deal could be similar to Exeter’s and much of the particulars would have to be ironed out over time before an agreement is reached.